TrumpTV.com first time on the market! For the first time in over 12 years the TrumpTV.com domain is to be sold in auction. 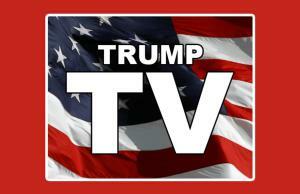 Los Angeles, CA 12/18/2018– Hollywood entrepreneur Fernando Escovar announced today that he is finally placing his domain TrumpTV.com up for sale. Escovar, who has met the GOP nominee several times during red carpet events, has not yet heard directly from Trump’s camp, but if any interest he would be happy to have a conversation. "This is a blowout price for charity, and a great investment” he said. 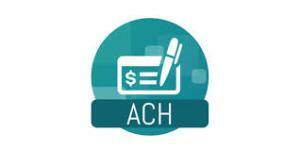 ACH Payment Processing API providing solution to NETSOFT MLM Software. CLEARWATER, FLORIDA, UNITED STATES, December 18, 2018 /EINPresswire.com/ — Gulf Management Systems of Clearwater, Florida announces a partnership with New York-based Sunsoft, Inc.- a leading Network marketing and direct selling Software company to Expand Payment Integration Options. Gulf Management Systems, a merchant provider of premium payment processing solutions, enters a new relationship with Sunsoft, Inc. an innovator of valuable software in the MLM industry. Clearwater, FL – December 15, 2018 – Gulf Management Systems, a merchant service provider of premium payment processing solutions, has partnered with Sunsoft, Inc., the provider of world’s most advanced MLM software, to expand payment integration options for all Sunsoft, Inc. customers while offering value to its clients through Gulf Management Systems to expand its reach in the payment solutions industry. Gulf Management’s ACH recurring payments application will now be integrated into the Sunsoft’ software platform as a default payment option, proving as a beneficial partnership for both organizations in terms by transaction fee and turnkey solution. According to Gulf Management Systems representatives, ACH payments processing is among the most value-conscious methods to accept recurring payments, potentially saving businesses up to 80-percent in processing compared to credit card protocols. As an alternative to wire transfers, ACH allows businesses to keep their bank account number safe from customers, with Gulf Management offering businesses many options with regard to accepting ACH payments through its integrated API. As per the Direct Selling Association (DSA) the MLM market is $34.9 Billion in USA alone. 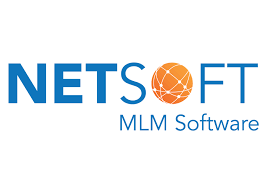 Offering the world’s most advanced MLM software with 2FA cybersecurity, KYC, Wallet management technology, Sunsoft’ Software platform utilizes an assurance software development practice and 5S modular framework to help a myriad of Fortune 500 companies manage and control their networks with simplified genealogy and tabular views of those networks. Through this alliance the Sunsoft clients are awarded the endless opportunity to seamlessly integrate legacy software for inventory, accounting, CRM, global tax compliance and much more for efficient operation, all the while offering support for more than 120 multiple payment gateway options– including all cryptocurrency business wallets– based on a company’s business model. Gulf Management Systems payment allows businesses to integrate payment processing into their current software or website via an API Key, converting their software or website into a payment processing service. PLM delivers training and compliance to the food distribution industry by partnering with Iron Apple, a leader in online food safety compliance training. NEWARK, NJ, USA, December 13, 2018 /EINPresswire.com/ — PLM, the only nationwide fleet management company dedicated exclusively to leasing, renting and maintaining refrigerated trailers, and Iron Apple, a leader in online food safety compliance training, have partnered to offer compliance training services for the Sanitary Transport of Food (“STF”) Rule of the Food Safety Modernization Act (“FSMA”). 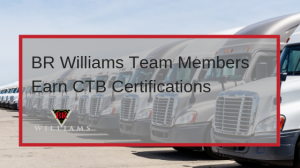 The services, offered by both companies, facilitate compliance with the Rule by teaching trainees how to maintain sanitary conditions, monitor temperatures and properly operate the Transport Refrigeration Unit (“TRU”). Training documentation is maintained using Iron Apple’s eCompliance platform. 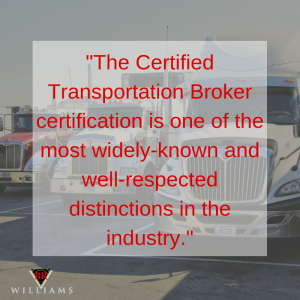 The services are ideal for motor carriers and distribution centers. 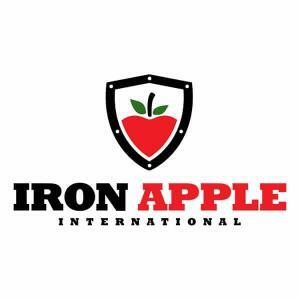 “By teaming with Iron Apple, we are able to offer our customers an in-depth FSMA training program for drivers and operations staff. Training and training documentation is a key requirement of the Sanitary Transportation Rule” says Don Durm, VP of Customer Solutions at PLM. Iron Apple’s FSMA training for drivers, operations, and brokers provides an overview of the STF regulations and guidance on best practices to exceed the rule requirements. Certificates of completion are stored in the Iron Apple eClassroom and can be accessed by smartphone, tablet or laptop and desktop computers. Management monitors the progress of individuals within the organization to ensure compliance with training requirements. “We are excited to partner with PLM. They are taking the FSMA requirements seriously and want to ensure all their customers have resources available to meet those requirements,” says Geoff Sanford, Operations Manager at Iron Apple. PLM’s partnership with Iron Apple is part of its TrainingLink platform, allowing customers to stay at the forefront of changing industry standards and regulatory compliance. Customers can sign up for PLM’s Food Safety Training, powered by Iron Apple, by visiting www.plmtrailer.com. Based in Newark, New Jersey, PLM is an industry leader and the only nationwide company dedicated exclusively to the lease, rental, maintenance and fleet management of refrigerated trailers. Using its technology-driven software and locations throughout the U.S., PLM offers its customers a full-service platform including the industry’s largest selection of multi-temperature, single-temperature, and eco-friendly refrigerated trailers from 28’ to 53’ lengths. For more information visit http://www.plmtrailer.com, or call +1 (877) 736-8756. 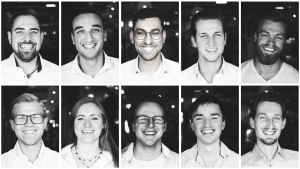 Headquartered in Dartmouth, Nova Scotia, Iron Apple has streamlined its food safety insight and developed the eCompliance and eClassroom platforms to become the market leader in FSMA Compliance. The eCompliance program provides companies with all templates, procedures and checklists. The eClassroom mobile app also serves as an electronic documentation system. The eClassroom consists of a 5-part eLearning system, in which the training materials delivered meet or exceed FSMA & Sanitary Transport Rule training requirements. Iron Apple training content is designed specifically for Brokers, Motor Carriers, and Drivers. For more information visit www.ironapple.net, or call +1 (844) 485-3330, and email sales@ironapple.net. 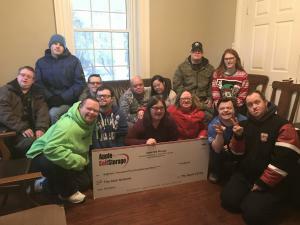 Apple Self Storage donated a total of $18,460 to the ABLE Network, a non-profit organization assisting young adults with intellectual disabilities. AURORA, ONTARIO, CANADA, December 13, 2018 /EINPresswire.com/ — Apple Self Storage has been working with The ABLE Network for many years. Last year they donated a total of $15,580 but this year they were able to raise $50,000 through a series of support programs. This month they presented a giant cheque totalling $18,460 to Doug Sooley at the Annual Awards Dinner. They are proud and honoured to have Doug as such a wonderful addition to the administration team at Apple Self Storage. The Founder of the ABLE Network, Barb Allan says "ABLE sends a huge THANK YOU to all of you for the HUGE cheque that you gave us! Your support is so amazing!! How lucky are we to be part of your amazing organization! The money you raised goes a long way towards making our program affordable to families that can benefit from it. We really appreciate your continuous support. 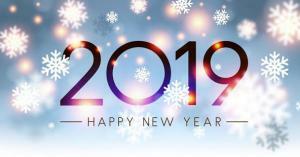 Many, many thanks from all of us at ABLE!" LONDON HEATHROW, UNITED KINGDOM, December 12, 2018 /EINPresswire.com/ — B&H Worldwide, the award-winning aerospace logistics provider has chosen BSI (British Standards Institute) as its new provider of quality standards accreditation worldwide. In 2017 the company successfully advanced its ISO accreditation from ISO 9001:2008 to the latest ISO 9001:2015 at all its international locations. 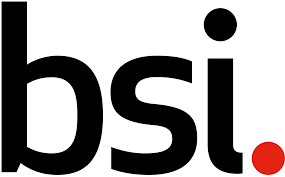 Now, with its new working relationship with BSI the company will add further rigor and recognition to its quality standards as BSI certification is recognised by the United Kingdom Accreditation Service (UKAS) and by the US ANSI-ASQ National Accreditation Board (ANAB) as a premium certification body under the terms of the International Accreditation Forum (IAF). Having a UKAS accredited ISO certificate will enable B&H to appear in the International Aerospace Quality Group (IAQG) OASIS database of suppliers who are certified under IAQG rules to be in compliance with the specialist aerospace quality management system requirement (9100 series). "Our reputation as a standard setter for service in this industry will be further enhanced by showing that we meet the very strictest ISO standards under BSI certification. These enhanced BSI standards will ensure our worldwide organisation continues to be streamlined effective and efficient – to the benefit of both our customers and our internal network".